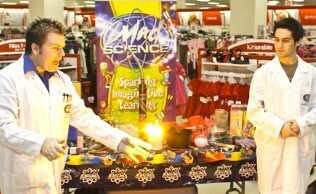 Our Mad Science Booths will add fun and excitement to your next event. 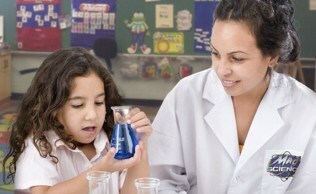 Children will be able to do hands-on experiments in a wide variety of topics as well as take something home with them. Children will make and take home the coolest polymer of them all, Slime! Children will use electricity to copper plate and take home their own nickels (provided by Mad Science). For this booth you have the option of the children can making own football plane to take home or to take a ride on a hovercraft. In this booth children will get to experiment with many different optical illusions and they will get to take home a 3D Dragon that they make at home. In this booth children will explore many magnetic experiments and they will get to take home a floating magnet kit. Mad Science will excite your children with age-appropriate, hands-on, inquirey based workshops, 50-minutes in length with numerous, exciting topics from which to choose. Mad Science Events are 45-minute high-energy demonstrations that are fun, educational, spectacular and sure to leave your guests with memories that last well byound our grand finales.